Denise L. Iocco's practice focuses primarily on estate and gift tax planning, charitable giving, and trust and estate administration. 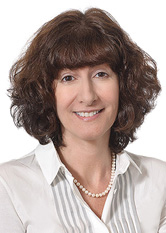 Ms. Iocco advises high net-worth individuals and families in all aspects of estate planning. She has extensive experience in developing tax-advantageous transfers, as well as advising fiduciaries in connection with the management of estates and trusts. Ms. Iocco is often called upon in situations where sophisticated and sensitive planning is necessitated by multigenerational family considerations. Ms. Iocco brings to bear not only her extensive knowledge of tax but also her excellent interpersonal skills to achieve successful succession plans for family businesses. To effectuate a family business succession plan, Ms. Iocco regularly will work closely with the family's professional advisors to develop and implement the plan. Ms. Iocco also advises clients on matrimonial issues and structures all forms of marital agreements to ensure that a client's overall estate plan is consistent with any marital agreements being drafted and executed. Given the stringent requirements and performance standards of fiduciaries, Ms. Iocco also regularly advises executors, trustees and other fiduciaries on a wide range of potentially litigious areas. As well, she handles all aspects of estate and trust administration, including probate, the preparation of estate tax returns, and judicial and non-judicial accountings. Ms. Iocco has lectured at a variety of estate planning forums on a range of topics. Since 2009, she has been designated as a top Estate Planning & Probate lawyer on a listing of New York Metro Super Lawyers*. The Super Lawyers list is issued by Thomson Reuters and a description of the selection methodology can be found at the Super Lawyers website. The Best Lawyers in America recognized her in the category of Trusts and Estates (2019 New York, NY edition). Additionally, Ms. Iocco has received an AV Preeminent Attorney Peer Review Rating by LexisNexis Martindale-Hubbell*. A description of the LexisNexis Martindale-Hubbell selection methodology can be found at the Martindale-Hubbell website. She is also a member of the Association of the Bar of the City of New York and previously served on its Committee of Non-Profit Organizations.